Abstract: Subjective cognitive impairment (SCI) refers to concerns regarding one’s cognitive functioning in the absence of objective evidence of impairment, and may represent an early stage of Alzheimer’s disease. However, as not all individuals with SCI cognitively decline, there is growing interest in the early identification of those individuals with SCI who are most at risk of developing Alzheimer’s disease. One promising method of early identification involves the use of biomarkers that are known to be associated with the pathophysiology of the disease; in particular, markers of amyloid and tau accumulation. While there has been substantial research on amyloid and tau biomarkers in the context of mild cognitive impairment (MCI), only recently has attention shifted to SCI, which may represent an even earlier stage in the disease course. The purpose of this paper is to qualitatively review the literature on amyloid and tau biomarkers in SCI. A brief discussion of non-amyloid/tau biomarkers is also included. Not surprisingly, we found that amyloid and tau biomarker profiles become increasingly abnormal from SCI, to MCI, to Alzheimer’s disease. Additionally, although amyloid and tau biomarkers appear to be unable to differentiate between SCI and healthy controls, there is some evidence to suggest that they may be able to differentiate between those individuals with SCI who cognitively decline over time and those who do not. While this finding has potential clinical implications, achieving optimal predictive value will likely require further research into the use of numerous biomarkers in combination. Abstract: The amyloid-β peptide (Aβ) and the phosphorylated protein tau have been widely implicated in Alzheimer’s disease and are the focus of most research. Both agents have been extensively studied in mammalian cell culture and in animal studies, but new research is focusing on yeast models. Yeast are eukaryotes, just like us, and are amenable to effects and expression of Aβ and tau and appear able to ‘report’ with considerable relevance on the effects of these biomolecules. The use of yeast enables powerful new approaches to understanding how to overcome the effects of Aβ and tau, and such advances could lead to new therapies to prevent the progression of Alzheimer’s disease. Abstract: Calcium ions are crucial in the process of information transmission and integration in the central nervous system (CNS). These ions participate not only in intracellular mechanisms but also in intercellular processes. The changes in the concentration of Ca2+ ions modulate synaptic transmission, whereas neuronal activity induces calcium ion waves. Disturbed calcium homeostasis is thought to be one of the main features in the pathophysiology of Alzheimer’s disease (AD), and AD pathogenesis is closely connected to Ca2+ signaling pathways. The effects of changes in neuronal Ca2+ are mediated by neuronal calcium sensor (NCS) proteins. It has been revealed that NCS proteins, with special attention to visinin-like protein 1 (VILIP-1), might have a connection to the etiology of AD. In the CNS, VILIP-1 influences the intracellular neuronal signaling pathways involved in synaptic plasticity, such as cyclic nucleotide cascades and nicotinergic signaling. This particular protein is implicated in calcium-mediated neuronal injury as well. VILIP-1 also participates in the pathological mechanisms of altered Ca2+ homeostasis, leading to neuronal loss. These findings confirm the utility of VILIP-1 as a useful biomarker of neuronal injury. Moreover, VILIP-1 plays a vital role in linking calcium-mediated neurotoxicity and AD-type pathological changes. The disruption of Ca2+ homeostasis caused by AD-type neurodegeneration may result in the damage of VILIP-1-containing neurons in the brain, leading to increased cerebrospinal fluid levels of VILIP-1. Thus, the aim of this overview is to describe the relationships of the NCS protein VILIP-1 with the pathogenetic factors of AD and neurodegenerative processes, as well as its potential clinical usefulness as a biomarker of AD. Moreover, we describe the current and probable therapeutic strategies for AD, targeting calcium-signaling pathways and VILIP-1. 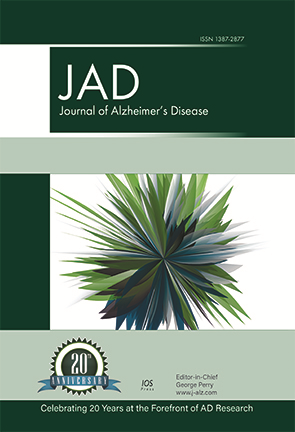 Abstract: Early-onset familial Alzheimer’s disease (EOFAD) and late-onset sporadic AD (LOSAD) both follow a similar pathological and biochemical course that includes: neuron and synapse loss and dysfunction, microvascular damage, microgliosis, extracellular amyloid-β deposition (Aβ), and the deposition of phosphorylated tau protein in the form of intracellular neurofibrillary tangles in affected brain regions. Any mechanistic explanation of AD must accommodate these biochemical and neuropathological features for both forms of the disease. Cell cycle abnormalities represent another major biochemical and neuropathological feature common to both EOFAD and LOSAD, and 1) appear very early in the disease process, prior to the appearance of plaques and tangles, and 2) explain the biochemical (e.g., tau phosphorylation), neuropathological (e.g., neuron hypertrophy) and cognitive changes observed in EOFAD and LOSAD. Since neurogenesis after the formation of a memory is sufficient to induce forgetting, any stimulus that promotes cell cycle reentry will be a negative event for memory. In this insight paper, we propose that aberrant reentry of terminally differentiated, post-mitotic neurons into the cell cycle is a common pathway that explains both early and late-onset forms of AD. In the case of EOFAD, mutations in APP, PSEN1, and PSEN2 that alter AβPP and Notch processing drive reactivation of the cell cycle, while in LOSAD, age-related reproductive endocrine dyscrasia that upregulates mitogenic TNF signaling, AβPP processing toward the amyloidogenic pathway and tau phosphorylation drives reactivation of the cell cycle. Inhibition of cell cycle reentry of post-mitotic neurons may be a useful therapeutic strategy to prevent or halt disease progression. Abstract: Photocopying in offices and printing centers releases nanoparticles that can reach the brain following inhalation. We examined whether subcytotoxic levels of airborne photocopy-emitted nanoparticles could potentiate perturbation of synaptic signaling in cultured neurons following exposure to amyloid-β (Aβ). Signaling was only transiently inhibited by Aβ or nanoparticles individually, but remained statistically reduced in cultures receiving both after 24 h. In vitro and in vivo studies with copier emitted nanoparticles have consistently demonstrated inflammation, oxidative stress, and cytotoxicity. Since Aβ can accumulate years before cognitive decline, subcytotoxic levels of nanoparticles are one factor that could potentiate Aβ-induced impairment of synaptic activity during these early stages. Abstract: The pleiotropic contribution of statins on cognition is uncertain. From 840 patients in the cohort from the Israel Diabetes and Cognitive Decline Study, we identified 61 non-statin users and compared them with 45 patients who had used statins at least 90% of the time. Analysis of covariance was performed to compare mean cognitive z-scores between statin users and non-users while adjusting for socio-demographic, diabetes-related, and cardiovascular covariates which included change in cholesterol by year. Overall cognition, memory, and executive function was found to be significantly better in statin users (p<0.0008). This suggests a positive effect of statins on cognitive function of type 2 diabetes patients that is independent of cholesterol levels. Qing-Guo Ren*, Yan-Juan Wang*, Wei-Gang Gong, Lin Xu, Zhi-Jun Zhang *These authors contributed equally to this work. Abstract: Here, we investigated the effect of escitalopram pretreatment on protein kinase A (PKA)-induced tau hyperphosphorylation and spatial memory deficits in rats using western blot and behavioral tests, respectively. We demonstrated that escitalopram effectively ameliorated tau hyperphosphorylation and the spatial memory deficits induced by PKA activation. We measured the total and activity-dependent Ser9-phosphorylated levels of glycogen synthase kinase (GSK)-3β in hippocampal extracts. No significant change in the total level of GSK-3β was observed between the different groups. However, compared with forskolin injection alone, pretreatment with escitalopram increased the level of Ser9-phosphorylated GSK-3β. We also demonstrated that escitalopram increased Akt phosphorylation at Ser473 (the active form of Akt). Furthermore, we identified other important kinases and phosphatases, such as protein phosphatase 2A, extracellular signal-regulated kinases 1 and 2, and MAP kinase kinase-1/2, that have previously been reported to play a crucial role in tau phosphorylation; however, we did not detect any significant change in the activation of these kinases or phosphatases in our study. We unexpectedly demonstrated that forskolin caused anxiety-like behavior in rats, and pretreatment with escitalopram did not significantly ameliorate the anxiety-like behavior induced by forskolin. These data provide the first evidence that escitalopram ameliorates forskolin-induced tau hyperphosphorylation and spatial memory impairment in rats; these effects do not occur via the anti-anxiety activity of escitalopram but may involve the Akt/GSK-3β signaling pathway. Abstract: Intraneuronal accumulation and extracellular deposition of amyloid-β (Aβ) protein continues to be implicated in the pathogenesis of Alzheimer’s disease (AD), be it familial in origin or sporadic in nature. Aβ is generated intracellularly following endocytosis of amyloid-β protein precursor (AβPP), and, consequently, factors that suppress AβPP internalization may decrease amyloidogenic processing of AβPP. Here we tested the hypothesis that caffeine decreases Aβ generation by suppressing AβPP internalization in primary cultured neurons. Caffeine concentration-dependently blocked low-density lipoprotein cholesterol (LDL) cholesterol internalization and a specific adenosine A3 receptor (A3R) antagonist as well as siRNA knockdown of A3Rs mimicked the effects of caffeine on neuronal internalization of LDL cholesterol. Further implicating A3Rs were findings that a specific A3R agonist increased neuronal internalization of LDL cholesterol. In addition, caffeine as well as siRNA knockdown of A3Rs blocked the ability of LDL cholesterol to increase Aβ levels. Furthermore, caffeine blocked LDL cholesterol-induced decreases in AβPP protein levels in neuronal plasma membranes, increased surface expression of AβPP on neurons, and the A3R antagonist as well as siRNA knockdown of A3Rs mimicked the effects of caffeine on AβPP surface expression. Moreover, the A3R agonist decreased neuronal surface expression of AβPP. Our findings suggest that caffeine exerts protective effects against amyloidogenic processing of AβPP at least in part by suppressing A3R-mediated internalization of AβPP. Abstract: Background: Insulin-like growth factor (IGF)-1, through insulin/IGF-1 signaling pathway, is involved in the pathogenesis of type 2 diabetes mellitus (T2DM) and Alzheimer’s disease. Objective: This study aimed to assess the association of serum IGF-1 and IGF binding protein (IGFBP)-3 levels with cognition status and to determine whether IGF-1 rs972936 polymorphism is associated with T2DM with mild cognitive impairment (MCI). Methods: A total of 150 T2DM patients, 75 satisfied the MCI diagnostic criteria and 75 exhibited healthy cognition, were enrolled in this study. The cognitive function of the subjects was extensively assessed. Serum IGF-1 and IGFBP-3 levels were measured through enzyme-linked immunosorbent assay; IGF-1/IGFBP-3 molar ratio was calculated. Single nucleotide polymorphisms of the IGF-1-(rs972936) gene were analyzed. Results: Serum IGF-1/IGFBP-3 molar ratio in MCI patients was significantly lower than that in the control group (p = 0.003). Significant negative correlations were found between IGF-1/IGFBP-3 molar ratio and Trail Making Test A and B (TMT-A and TMT-B) scores (p = 0.003; p < 0.001, respectively), which indicated executive function. Further multiple step-wise regression analysis revealed that the TMT-A or TMT-B score was significantly associated only with serum IGF-1/IGFBP-3 molar ratio (p = 0.016; p < 0.001, respectively). No significant difference was found in the genotype or allele distribution of IGF-1 rs972936 polymorphism between MCI and control groups. Conclusions: A low serum IGF-1/IGFBP-3 molar ratio is associated with the pathogenesis of MCI, particularly executive function in T2DM populations. Further investigation with a large population size should be conducted to confirm this observed association. 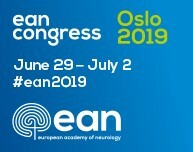 Abstract: The impact of neuropathological lesions on the clinical symptoms and progression of Lewy body disease (LBD) remains unclear. To address this issue, we describe two illustrative cases of autopsy-proven LBD that presented atypical phenotypes of progressive supranuclear palsy syndrome and semantic dementia. Postmortem examination revealed diffuse LBD with massive brainstem involvement in case 1, whereas Lewy bodies predominated in the amygdala and neocortex in case 2. Alzheimer’s disease pathology was present in both cases, and TDP-43 inclusions were noted in case 2. These cases illustrate two contrasted clinical presentations and highlight the heterogeneity within the underlying proteinopathies of neurodegenerative diseases. Abstract: Melatonin is a multifunctional molecule and plays a crucial role in the regulation of circadian rhythms. The role of melatonin in the protection of the central nervous system is well documented. Therefore, melatonin was proposed as a possible therapeutic agent for reducing the severity of Alzheimer’s disease (AD), a progressive neurodegenerative disease characterized by cognitive decline and memory dysfunction. Recently, we showed beneficial neuroprotective effects of prophylactic supplementation with melatonin in a suitable model of sporadic AD: OXYS rats, which exhibit disturbances in melatonin secretion. In the present study, we demonstrated that melatonin administration, when started at the age of active progression of AD-like pathology, decreased the amyloid-β1–42 and amyloid-β1–40 levels in the hippocampus and amyloid-β1-42 levels in the frontal cortex of OXYS rats. Furthermore, oral administration of melatonin slowed down degenerative alterations in hippocampal neurons of OXYS rats. The most noticeable improvement was observed in the CA1 region of the hippocampus. Melatonin administration prevented the decrease in the mitochondria-occupied portion of the neuronal volume and improved the ultrastructure of mitochondria in the neurons of the CA1 region. Additionally, melatonin treatment of OXYS rats slowed down an increase in anxiety and deterioration of reference memory. Thus, melatonin administration could alleviate the burden of AD and may be considered a promising pharmaceutical treatment of the disease. Abstract: Cerebral amyloid-β accumulation and changes in white matter (WM) microstructure are imaging characteristics in clinical Alzheimer’s disease and have also been reported in cognitively healthy older adults. However, the relationship between amyloid deposition and WM microstructure is not well understood. Here, we investigated the impact of quantitative cerebral amyloid load on WM microstructure in a group of cognitively healthy older adults. AV45-positron emission tomography and diffusion tensor imaging (DTI) scans of forty-four participants (age-range: 60 to 89 years) from the Alzheimer’s Disease Neuroimaging Initiative were analyzed. Fractional anisotropy (FA), mean diffusivity (MD), radial diffusivity (DR), and axial diffusivity (DA) were calculated to characterize WM microstructure. Regression analyses demonstrated a non-linear (quadratic) relationship between amyloid deposition and FA, MD, and RD in widespread WM regions. At low amyloid burden, higher deposition was associated with increased FA as well as decreased MD and DR. At higher amyloid burden, higher deposition was associated with decreased FA as well as increased MD and DR. Additional regression analyses demonstrated an interaction effect between amyloid load and global WM FA, MD, DR, and DA on cognition, suggesting that cognition is only affected when amyloid is increasing and WM integrity is decreasing. Thus, increases in FA and decreases in MD and RD with increasing amyloid load at low levels of amyloid burden may indicate compensatory processes that preserve cognitive functioning. Potential mechanisms underlying the observed non-linear association between amyloid deposition and DTI metrics of WM microstructure are discussed. Abstract: Background: The links between diabetes, depression, and Alzheimer’s disease (AD) has been established, but they are still poorly understood. However, little research has examined the effect that comorbidity of depression and diabetes has on cognitive impairment in an ethnically diverse sample. Objective: The purpose of this study is to investigate the relationship between comorbid diabetes and depression on cognitive dysfunction; and examine the relationship in an ethnically diverse population. Methods and Results: Analyses of data from 2,436 participants (914 men and 1,522 women) of three separate cohorts: HABLE, FRONTIER, and TARCC. In the HABLE cohort, comorbidity (odds ratio [OR] =3.008; 95% CI=1.358-6.667), age (OR=1.138; 95% CI=1.093-1.185), and education (OR=.915; 95% CI=.852-.982) increased the risk of mild cognitive impairment (MCI) diagnosis among elderly Mexican American. In the TARCC cohort, results showed an increase risk of MCI in both non-Hispanic whites (OR=18.795; 95% CI=2.229-158.485) and Mexican Americans (OR= 8.417; 95% CI= 2.967-23.878). Finally, results in the FRONTIER cohort showed that in elderly Mexican Americans, comorbidity (OR=2.754; 95% CI=1.084-6.995) and age (OR=1.069; 95% CI=1.023-1.118) significantly increased risk of MCI. In non-Hispanic whites, comorbidity did not significantly increase risk of MCI. Conclusions: Among elderly Mexican Americans, comorbid depression and diabetes significantly increased risk for MCI and AD across cohorts. Effects of comorbid diabetes and depression on MCI were inconclusive. Our results support the link between comorbid diabetes and depression and risk for cognitive decline among Mexican Americans. This finding is of critical importance as the Hispanic population is at higher risk of developing AD. Abstract: Background: Previous studies have investigated associations between apolipoprotein E (APOE)-ε4 allele status and acetylcholinesterase inhibitor treatment response in patients with Alzheimer’s disease. The ability to draw definitive conclusions regarding the effect of APOE-ε4 genotype on treatment response has been hindered by inconsistent results among studies and methodological limitations that restrict interpretation of study findings. Objective: To determine whether APOE-ε4 carrier status influences the magnitude of change in 13-item Alzheimer’s Disease Assessment Scale-Cognitive Subscale (ADAS-cog) score associated with acetylcholinesterase inhibitor treatment (i.e., donepezil). Methods: Analyses were performed using pooled data from the donepezil and placebo treatment arms of three consecutive, similarly designed, 12-week, multi-national, randomized clinical studies that enrolled patients with mild-to-moderate Alzheimer’s disease. Correlations between APOE-ε4 carrier status and ADAS-cog scores were evaluated using analysis of covariance. Results: No appreciable interaction between donepezil response and APOE-ε4 carrier status or copy number was detected. Both carriers and non-carriers of APOE-ε4 who received donepezil experienced significant improvements from baseline in ADAS-cog score versus placebo (p < 0.05). Change from baseline to final observation in the donepezil treatment group was –2.95 for APOE-ε4 carriers and –4.09 for non-carriers (p = 0.23). In contrast, non-carriers of APOE-ε4 in the placebo treatment group exhibited a greater improvement from baseline versus carriers (–2.38 versus –0.60, p = 0.05). Conclusion: Within this population, APOE genotype had no statistically significant effect on cognitive response to donepezil treatment; however, APOE-ε4 allele status was associated with a difference in the magnitude of the change in ADAS-cog of placebo-treated patients. Abstract: Background: Mutations within exons 16 and 17 of the amyloid-β protein precursor (AβPP) gene were the first known causes of early-onset familial Alzheimer’s disease (EOFAD). Since the first AβPP mutation was reported, 39 different AβPP variations have been discovered in EOFAD. Objective: We described a novel AβPP M722K mutation found in a Chinese familial Alzheimer’s disease pedigree and confirmed its effects on amyloid-β (Aβ) secretion and tau phosphorylation. Methods: We performed direct sequencing of exons 16 and 17 of the AβPP gene and coding exons 3–12 of the PSEN1 and PSEN2 genes for genetic analysis. N2a cells were transfected with wild-type AβPP, AβPP constructs harboring the M722K mutation, or AβPP constructs harboring the Swedish mutation to demonstrate the effects of the AβPP M722K mutation on Aβ secretion and tau phosphorylation. Results: Different phenotypes of patients carrying the AβPP M722K mutation maybe were related to different apolipoprotein E genotypes. The expression of AβPP M722K in mouse neuroblastoma N2a cells induced a 1.7-fold increased ratio of Aβ42 to Aβ40 without changes in sAβPPα and sAβPPβ. Tau phosphorylation at the AT8 sites was also increased. Conclusion: Maybe the AβPP M722K mutation contributed to the cause of EOFAD in this Chinese pedigree mediated by increased Aβ42/Aβ40. Further studies should be conducted to validate the pathogenicty of AβPP M722K and the interactions among γ-secretase, APOE, and AβPP. Abstract: Background and Objectives: It remains unknown whether the association between diabetes mellitus (DM) and cognitive function differs in Eastern and Western populations. This study aimed to elucidate whether DM is associated with worse cognitive performance in both populations. Methods: The Shanghai Aging Study (SAS) and the Mayo Clinic Study of Aging (MCSA) are two population-based studies with similar design and methodology in Shanghai, China and Rochester, MN, USA. Non-demented participants underwent cognitive testing, and DM was assessed from the medical record. Separate analyses were performed in SAS and MCSA regarding the association between DM and cognitive performance. Results: A total of 3,348 Chinese participants in the SAS and 3,734 American subjects in the MCSA were included. Compared with MCSA subjects, SAS participants were younger, less educated, and had lower frequency of vascular disease, APOE ε4 carriers and obesity. Participants with DM (compared to non-DM participants) performed significantly worse on all the cognitive domains in both the SAS and MCSA. After adjustment for age, gender, education, and vascular covariates, DM was associated with worse performance in executive function (β=-0.15, p=0.001 for SAS, and β=-0.10, p=0.008 for MCSA) in the total sample and in the cognitively normal sub-sample. Furthermore, DM was associated with poor performance in visuospatial skills, language, and memory in the SAS, but not in the MCSA. Conclusions: Diabetes is associated with cognitive dysfunction and, in particular, exerts a negative impact on executive function regardless of race, age, and prevalence of vascular risk factors. 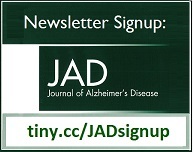 Abstract: Although monocytes and macrophages could serve as new therapeutic targets for treatment of Alzheimer’s disease (AD) and aging of the human innate immune system, its role in the pathogenesis of neurodegenerative disorders such as AD are only poorly understood. We have addressed this here by determining the number of CD14+ monocytes and the frequency of HLA-DR-, CD80-, and CD86-expression in peripheral blood from healthy volunteers aged 20-79 years, and in AD patients at diagnosis and after 12, 30, and 52 weeks of rivastigmine treatment. While the number of CD14+ monocytes remained constant, the expression of HLA-DR, CD80, and CD86 by monocytes increased with age. However, no differences were identified by comparing AD patients with age-matched healthy controls or following treatment of AD patients with rivastigmine. These results indicate that changes in the expression of HLA-DR, CD80, and CD86 are caused by immunosenescence rather than by AD pathology or treatment of AD patients with rivastigmine. Abstract: Background: Falls and fractures due to impaired balance in patients with Alzheimer’s disease (AD) have an adverse effect on the clinical course of the disease. Objective: To evaluate balance impairment in AD from the viewpoint of vestibular functional impairment. Methods: The subjects were 12 patients with AD, 12 dementia-free elderly adults, and 12 younger adults. Vestibular function was assessed using a stepping test, caloric nystagmus, and a visual suppression (VS) test. Results: The stepping test was abnormal in 9 of the 12 patients in the AD group. An abnormal stepping test was not associated with self-reported dizziness or tendency to fall. Significant VS abnormalities were present in the AD group. The suppression rate of VS was lower in AD patients with either a tendency to fall or constructional apraxia than in AD patients without either. The velocity of the rapid phase of caloric nystagmus before the VS test was similar in the AD group and the elderly control group. Significant abnormalities of both caloric nystagmus and VS were not present in either the elderly or the younger control groups. Conclusion: AD could involve impairments in the vestibular control of balance. The VS test is useful for assessing the tendency to fall in AD. Impairment of VS in AD might arise from cerebral vestibular cortex impairment rather than comorbid peripheral vestibular disorders. Abstract: Midlife cardiovascular risk, hypertension (HTN) in particular, has been related cross-sectionally to poorer neuropsychological (NP) performance in middle age and older adults. This study investigated whether a similar relationship persists between midlife HTN or systolic blood pressure (SBP) and NP performance approximately 30 years later. 378 Framingham stroke and dementia-free Original cohort participants, with HTN and SBP ascertained between 50-60 years of age (mean age 55±1, 65% women), were administered a NP assessment at age ≥80 years. Tests included Logical Memory, Visual Reproduction, Paired Associate, Hooper Visual Organization Test, Trail Making A & B, Digit Span Forward and Backward, Controlled Word Association Test (COWAT), and Similarities. Multivariable linear regression, adjusted for age, time interval between risk factor and NP testing, gender, and premorbid intelligence, assessed association between midlife HTN/SBP and NP outcomes. Midlife HTN was not significantly associated with NP outcome measures. Midlife SBP was associated with poorer Digit Span Forward and COWAT performance (p<0.05). No significant interaction of age on HTN/SBP to NP associations was found. There was a significant interaction between ApoE4 status and SBP in their effects on COWAT (pinteraction = 0.074); SBP was negatively associated with COWAT only in those with the ApoE4 allele (p=0.025). While midlife HTN is not associated with late life cognitive impairment, midlife SBP is related to late life attention and verbal fluency impairments, particularly among ApoE4+ individuals. These results offer insight into processes that are operative in the absence of overt cognitive impairment and dementia. Abstract: Background: The temporal relationship of cognitive deficit and functional impairment in Alzheimer’s disease (AD) is not well characterized. Recent analyses suggest cognitive decline predicts subsequent functional decline throughout AD progression. Objective: To better understand the relationship between cognitive and functional decline in mild AD using autoregressive cross-lagged (ARCL) panel analyses in several clinical trials. Methods: Data included placebo patients with mild AD pooled from two multicenter, double-blind, Phase 3 solanezumab (EXPEDITION/2) or semagacestat (IDENTITY/2) studies, and from AD patients participating in the Alzheimer’s Disease Neuroimaging Initiative (ADNI). Cognitive and functional outcomes were assessed using AD Assessment Scale-Cognitive subscale, AD Cooperative Study-Activities of Daily Living instrumental subscale, or Functional Activities Questionnaire, respectively. ARCL panel analyses evaluated relationships between cognitive and functional impairment over time. Results: In EXPEDITION, ARCL panel analyses demonstrated cognitive scores significantly predicted future functional impairment at 5 of 6 time points, while functional scores predicted subsequent cognitive scores in only 1 of 6 time points. Data from IDENTITY and ADNI programs yielded consistent results whereby cognition predicted subsequent function, but not vice-versa. Conclusions: Analyses from three databases indicated cognitive decline precedes and predicts subsequent functional decline in mild AD, consistent with previously proposed hypotheses, and corroborate recent publications using similar methodologies. Cognitive impairment may be used as a predictor of future functional impairment in mild AD and can be considered a critical target for prevention strategies to limit future functional decline in the dementia process. Abstract: Protein aggregation is a hallmark of many neurodegenerative disorders. 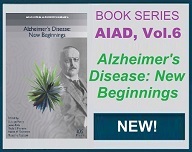 Alzheimer’s disease (AD) is directly linked to deposits of amyloid-β (Aβ) derived from the amyloid-β protein precursor (AβPP), and multiple experimental studies have investigated the aggregation behavior of these amyloids. The present paper reports modeling of the aggregation propensities and cell toxicities of genetic variants of Aβ known to increase disease risk. From correlation to experimental data, and using four distinct experimental structures to test structural sensitivity, we find that the Spatial Aggregation Propensity (SAP) formalism can describe the relative experimental aggregation propensities of Aβ42 variants (R2 = 0.49 and 0.70, p ~ 0.02 and 0.002, for 1IYT and 1Z0Q conformations using a probe radius of 10 Å). Our analysis finds correlation between the reduction in hydrophilic surface and experimental aggregation propensities. Finally, we show that experimental cell toxicities of Aβ variants are well described by computed SAP values, suggesting direct interplay between aggregation propensity and cell toxicity and providing a step toward a first computational estimator of Aβ toxicity. The present study contributes to our understanding of amyloid aggregation and suggests a method to predict aggregation propensity and toxicity of Aβ variants, and potentially to reduce aggregation propensities of amyloids by molecular intervention directed toward specific conformations of the peptides. 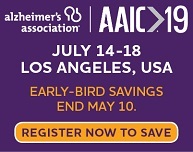 Abstract: The NIA-AA criteria for “preclinical” Alzheimer’s disease (AD) propose a staging method in which AD biomarkers follow an invariable temporal sequence in accordance with the amyloid cascade hypothesis. However, recent findings do not align with the proposed temporal sequence and “subtle cognitive decline,” which has not been definitively operationalized, may occur earlier than suggested in preclinical AD. We aimed to define “subtle cognitive decline” using sensitive and reliable neuropsychological tests, and to examine the number and sequence of biomarker abnormalities in the Alzheimer’s Disease Neuroimaging Initiative (ADNI). 570 cognitively normal ADNI participants were classified based on NIA-AA criteria and separately based on the number of abnormal biomarkers/cognitive markers associated with preclinical AD that each individual possessed. Results revealed that neurodegeneration alone was 2.5 times more common than amyloidosis alone at baseline. For those who demonstrated only one abnormal biomarker at baseline and later progressed to mild cognitive impairment/AD, neurodegeneration alone was most common, followed by amyloidosis alone or subtle cognitive decline alone, which were equally common. Findings suggest that most individuals do not follow the temporal order proposed by NIA-AA criteria. We provide an operational definition of subtle cognitive decline that captures both cognitive and functional decline. Additionally, we offer a new approach for staging preclinical AD based on number of abnormal biomarkers, without regard to their temporal order of occurrence. This method of characterizing preclinical AD is more parsimonious than the NIA-AA staging system and does not presume that all patients follow a singular invariant expression of the disease. Abstract: Background and Objective. The need to find a better reflection of Alzheimer’s disease (AD) pathophysiology led us to investigate differential expression of microRNA (miRNA) in cerebrospinal fluid (CSF) of AD patients compared to matched controls, using a genome-wide data-driven approach. Methods. From the Amsterdam Dementia Cohort, we selected 19 AD patients with CSF indicative of AD pathophysiology and 19 age and gender-matched controls without CSF evidence of AD (67±6 years old, 20 [53%] female). We measured 754 miRNA in CSF using qRT-PCR (Taqman Array MicroRNA cards A and B, v3.0) according to the Megaplex Taqman protocol. Hierarchical cluster analysis was performed and groups were compared using Linear Models for Microarray Data, a modified t-test. We performed validation analysis using qRT-PCR single assays. Results. 144±66 miRNA could be detected using Megaplex array analysis (19%). Mean Ct (average 32.4±0.5) was correlated to age (r=0.52, p=0.001). Five miRNA were differentially expressed in CSF of AD patients. None of these could be replicated. After stratification by age, seven miRNA showed differential expression in late-onset AD, of which lower abundance of let-7a was replicated (log10RQ -1.46, p<0.05). In early-onset AD, twelve miRNA were differentially expressed of which lower abundance of miRNA-532-3p remained borderline significant (log10RQ -1.27, p=0.05). Conclusion. Although we could not consistently separate AD patients and controls in the whole group, we have found indications miRNA in CSF are able to reflect aging and perhaps also heterogeneity in AD. Further investigation requires optimizing RNA input, while maintaining strict age matching. Abstract: Background: Olfactory dysfunction is associated with Alzheimer’s disease (AD), and already present at pre-dementia stage. Objectives: Based on the assumption that early neurodegeneration in AD is asymmetrical and that olfactory input is primarily processed in the ipsilateral hemisphere, we assessed whether unirhinal psychophysical and electrophysiological assessment of olfactory function can contribute to the diagnostic workup of mild cognitive impairment (MCI). Methods: Olfactory function of 13 MCI patients with positive amyloid PET, 13 aged-matched controls (AC) with negative amyloid PET and 13 patients with post-infectious olfactory loss (OD) was assessed unirhinally using (1) psychophysical testing of olfactory detection, discrimination and identification performance and (2) the recording of olfactory event-related brain potentials. Time-frequency analysis was used to enhance the signal-to-noise ratio of the electrophysiological responses. Psychophysical and electrophysiological assessment of auditory and trigeminal chemosensory function served as controls. Results: As compared to AC and OD, MCI patients exhibited a significant asymmetry of olfactory performance. This asymmetry efficiently discriminated between MCI and AC (sensitivity: 85%, specificity: 77%), as well as MCI and OD (sensitivity: 85%, specificity: 70%). There was also an asymmetry of the electrophysiological responses, but not specific for MCI. In both MCI and OD, olfactory stimulation of the best nostril elicited significantly more activity than stimulation of the worse nostril, between 3-7.5 Hz and 1.2-2.0 s after stimulus onset. Trigeminal and auditory testing did not show any difference between groups. Conclusion: MCI patients exhibit a marked asymmetry of behavioral olfactory function, which could be useful for the diagnostic workup of MCI.